You'll love this book, the recipes are easy, the ingredients are easy to get and they don't take long to make. Foodlovers turn to Oats Greats for information and inspiration. Everything is in here, from the proverbial soup to nuts: -grain Oatmeal Cake, American Fruitcake (Unbaked), Raspberry Bars, Refrigerated Oat Bran Muffins, Rhubarb Oatmeal Bars, Rose Oat Bran Bread, Round Challah With Seven Seeds, Rye Oat Bran Bread, Spiced Lunch Box Cookies, Strawberry Cream Cheese Bread, Strawberry Crisp, Veggieburger In Quantity (Dried), Whole Grain Oat Bread ...and much much more! 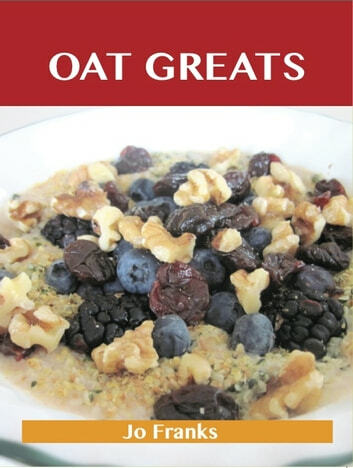 Oats Greats is packed with more information than you could imagine. 94 delicious dishes covering everything, each employing ingredients that should be simple to find and include Oats. This cookbook offers great value and would make a fabulous gift.